My personal favorite genres are fantasy and contemporary, and I tend to not read outside of those genres.... IT'S BAD. I KNOW. Occasionally I'll pick up another book that's sci fi or historical fiction but there's a few genres I will NEVER touch. I HATE BEING SCARED. More importantly, I would not willingly scare myself. I don't watch horror movies either because I don't want to pay to lose my dignity in a theater. No thanks. When I pick up a horror book and the first page says "based on a true story", I lose all of my sanity. I can just look at the demon clown on the cover and not be able to sleep for a week. I don't care HOW good It and Steven King novels are, I will not read It. I don't care if it's Halloween, I don't care if "it's not so scary" (because it usually is), I don't want to "face my fear", and I really don't care if there's a happy ending because THAT DOESN'T MAKE THE THINGS IN THE MIDDLE LESS SCARY. THEY'RE CUTE. YES I LOVE DOGS. YES I LOVE KIDS AND DOGS. but they're all the same story. The boy finds a lost dog, it becomes his best friend, and then it runs away or dies. AND THE BOY GETS OVER IT SO FAST? like did he ever have a dog? I don't think he seems to remember. AND MY HEART IS IN PIECES ON THE FLOOR. I remember reading Shiloh in the fourth grade and petting every dog I saw on the street for months because I was just so heartbroken. there's also always something about summer?? My next post is going to be all the similarities of dog books. The list will be ENDLESS. They're too.. short? YES I KNOW THEY'RE SHORT STORIES. But there's just not enough time to fit everything in? I've only read a few short story collections and I honestly did not finish half of them because I got bored and there was just too much story for one book but not enough story for each story. HOW DOES ONE NOT WANT TO WRITE MORE. I mean you see my blog I just have so many words and so many things to say I couldn't possibly fit an entire story in 10 pages. Plus I am so obsessed with character development that THERE JUST WOULDN'T BE SPACE. ugh. Surprisingly there aren't that many western YA books out there or maybe I don't know because I've only read one. And it was basically people on horses saying y'all. I'm not being stereotypical it was literally about a lost horse and it was set in 1845. There was actually a gun fight at the end over the horse. And I'm not even sure how entirely accurate half the things are? If you're not American, please do not rely on Westerns for information on American history in the 18th and 19th century, people were not running around having fights with guns. actually i'll get back to you on that.. I used to LOVE LOVE LOVE dystopia novels, it was everything I read as a 10/11 year old, especially because dystopias were extremely popular at the time. But honestly, I don't think I've read a dystopia in FOREVER, the current series I'm reading is the first dystopia I think I've read since 2015. Because like the dog/boy stories, they're all the same. Same teenage girl, same world in terror, same love triangle, same evil ruler, same rebel force, same "symbol of the rebellion status" it's old, it's boring, and I get serious deja vu. Didn't I just read this book? Nope. That was Divergent. What are some of your least favorite genres? What's your GO TO genre? How do you feel about switching it up to reading a COMPLETELY different book? I agree with basically all of these, I don't mind books that are a little on the creepy side. I used to hate horror because I thought it was too scary but now I'm not actually scared by horror books because I need to actually be able to see something to be scared by it. And I don't do dog stories either. Even if it's supposed to be a heartwarming story about friendship or whatever, I just don't want to read about a dog dying or going missing. I definitely agree with horror. I'm not interested in scaring myself. I agree about short stories...My weakness is long stories with lots of character development, and short stories just don't do it for me. (this is a problem when I'm trying to find fan fiction to read lol, as I always tend to go 50K +. I love your list! I agree with all of these expect the last one. Dystopian fiction is one of my favorite genres because even though a lot of time they are way to cliche I’m one of those weird people who like that. Like maybe too much. I’m not sure. I totally agree about horror though. Like a lot of times horrors are all focused on being scary and not on the actual plot line that it just doesn’t work. Cool post! 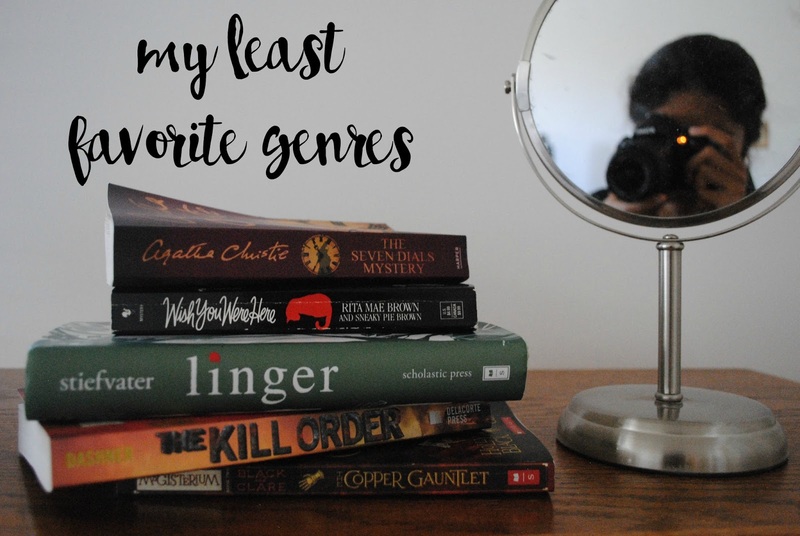 Very relatable post - I haven't even tried to read half of these genres because I know I won't enjoy them. 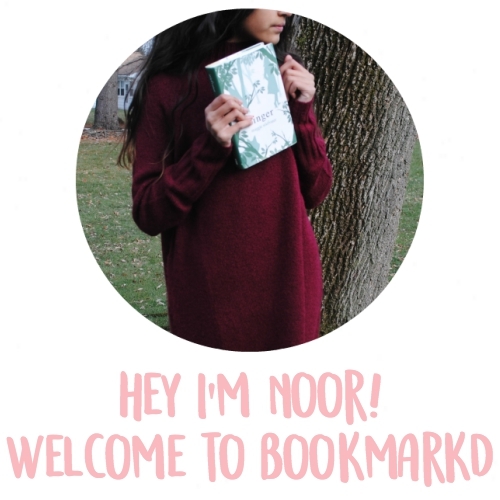 I mist admit, I'm still excited for new dystopians Noor, I'm so tragic. I like how they've blended into fantasy though now, magic elements in s dystopian world. I can't recall having read any westerns actually, are they even out there? I must go searching. Horror used to be my thing, and I must admit I love being scared through something that's not real. My problem is that I never actually get scared and it annoys me. Horror movies are the same. I prefer eery creepy stuff to gore because it's more likely to faze me. I hate dystopians but the first ever long book I read was the Hunger Games when I was 8 so I guess I still love that, but more for nostalgic purposes. I am a contemporary lover all the way as well! I hate horror because I am such a scaredy cat so I stay clear haha! I had no idea Western YA’s even existed? I just thought it was something in the movies. 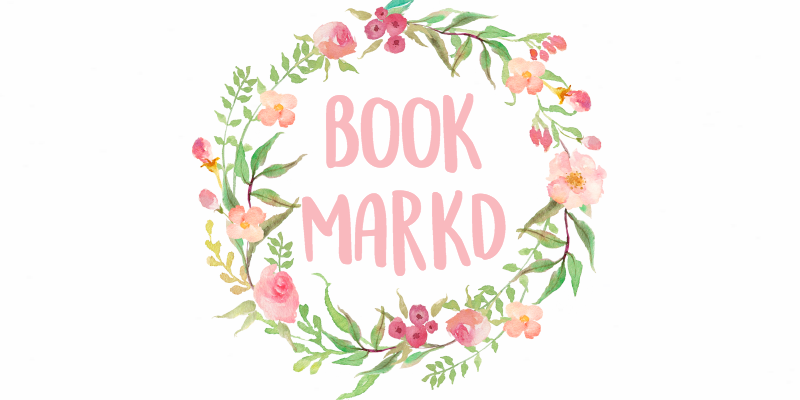 I really really like reading horror novels, mostly because I'm to scared to watch horror movies (I really don't like jumpscares) but with books, you can take a break and come back to it later when it's too scary. I'm currently reading Stephen King's IT for that very reason and I'll admit it! I'm too scared to watch IT lol. Completely with you! I read classics, contemporaries and fantasy, and will pick up sci-fi or hist fic, but none of these -- WE ARE THE SAME, CLEARLY. There are some good short stories out there (I love Roald Dahl's and I love Bartleby the Scrivener by Herman Melville who is my new fave), but I would very rarely pick up a book of them. And dystopia ... blegh!